Gujarat has a great tourism potential. It's a state with sunny beaches, lively cities, eternal deserts and many offbeat destinations, which all together creates an ultimate aura that attracts tourists from all over the world. With so much diversity and the natural wonders, Gujarat is becoming an ideal destination for camping in India. Visitors who come for camping to Gujarat step into another time, the splendours of which transform them forever. Camping in Gujarat is not all about running to the mountains; it's more of meeting and greeting people of different cultures and tribes. While camping in Gujarat, one can witness the best of jungle culture and enjoy the traditional style of living. 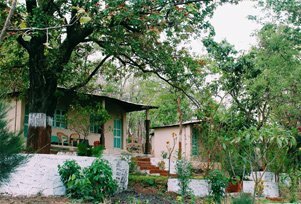 One can come along with family for camping in Gujarat as it includes all exciting activities from nature trails, astronomical stargazing, wildlife conservation, bird watching, kayaking, and photography contests to chocolate making and barbeques. Dhanpari Eco Campsite (Vadodara), Kanjeta Eco Campsite (Vadodara), Kevdi Eco Campsite (Kevdi), Kilad Nature Education Campsite (Surat), Mahal Eco Campsite (Surat), Padamdungari Eco Camping (Surat), Polo Monument and Vijaynagar Forest (North Gujarat -Ahmedabad), Sagai-Malsamot Eco Campsite (Vadodara), Samot-Malsamot Eco Campsite (Vadodara), Vadhvana Wetland & Eco Campsite (Vadodara), Vishal Khadi Eco Campsite (Vadodara), Waghai Botanical Gardens (Vadodara) and Zarwani Eco Campsite (Surat) are the campsites in Gujarat that are just perfect for camping. A word of advice for all the tourists who are coming or camping to Gujarat is to carry along some mosquito repellent, sunscreen, torches, plastic bags and a map of the region. Campsites in Gujarat can spellbind anyone and make them feel grateful for witnessing natural wonders at close quarters. Gujarat is one such place where you can feel such experience, especially camping under the stars in Thar Desert. Undoubtedly there are many campsite locations in and around Gujarat that are appealing many tourists. If not an adventure junkie but want to explore offbeat havens then they should visit campsites in Gujarat.